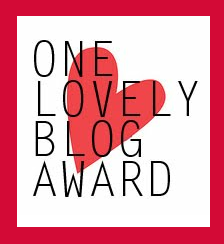 I believe July has just been my lucky month because I once again am honored and touched to be voted for the “One Lovely Blog Award” (OLBA). The ever so fantastic Keisha from Islandkynks voted for me. The award is basically given to show appreciation to “small” or new blogger/vloggers. It is aimed to give recognition, help the blogger/vlogger reach more viewers and also to say that the person who voted for you thinks your blog/vlog is “lovely”. There are a few “requirements” to follow in order to accept the award which I have listed below. Once again thank you Keisha! List rules and display the award. Nominate 15 Bloggers & comment on their posts to let them know they have been nominated. – ( I do not know 15 “small” or new blogs to nominate so I shall nominate 10). I am obsessed with all things natural and DIY and this is not limited to Hair and Skin care products. I make my own jewelry too some of which originate from nature or recyclable products and try to do little DIY projects around the house…yes obsessed. I am petrified of heights! Anything 3 stories or higher and I start to do that nervous laugh…you know the one where you are not really laughing but not yet crying either, that one! I am also scared of clowns and mimes anything with a “mask” e.g. a ton of face paint. I would love to travel around the world, eat tons of good food, drink good wine, meet wonderful people and just indulge in different cultures. I like heavy metal music 🙂 I like a lot of the “older stuff” but some new bands too. Play it loud and proud! If I could eat pizza, pasta, butter popcorn and cheese everyday all day I would! (I am obsessed with food lol). Have a fantastic day Maicurlies and nominees! This entry was posted in Awards and tagged Blog Awards, Blog Nominations on July 28, 2014 by Maicurls. Thanks Mai! You’re so sweet! You have me blushing over here. I’m honored and I appreciate readers like you. Thanks so much for your support. Much success to you!